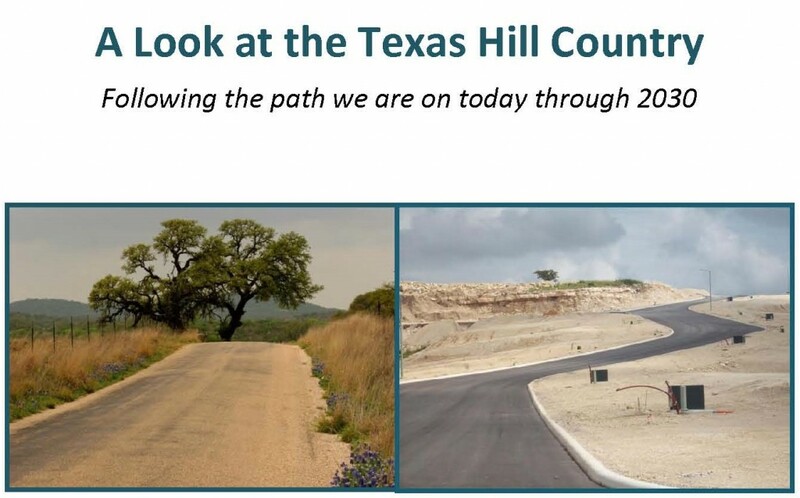 This study, prepared by a team of 12 masters students and three instructors in the Community and Regional Planning Department at the University of Texas, describes the importance of the Hill Country’s unique character and natural resources to the continued prosperity of the region. It identifies threats to these resources, including land fragmentation, under-funded groundwater conservation districts, and crippling traffic that drives residents from our cities. It closes with a suite of recommendations for new policies, investments, and in a few cases, institutions necessary to protect the region’s resources and support stewardship. The findings in this report were informed by the participation of experts and community members from across the Hill Country. As the team crafted its recommendations, it consulted with a group of experienced regional planners and conservation professionals from this region and others throughout the U.S. that have successfully mobilized to protect their landscapes’ unique features. The Hill Country Alliance looks forward to working with a broad network of partners throughout the region to pursue these and other important initiatives in the coming years. 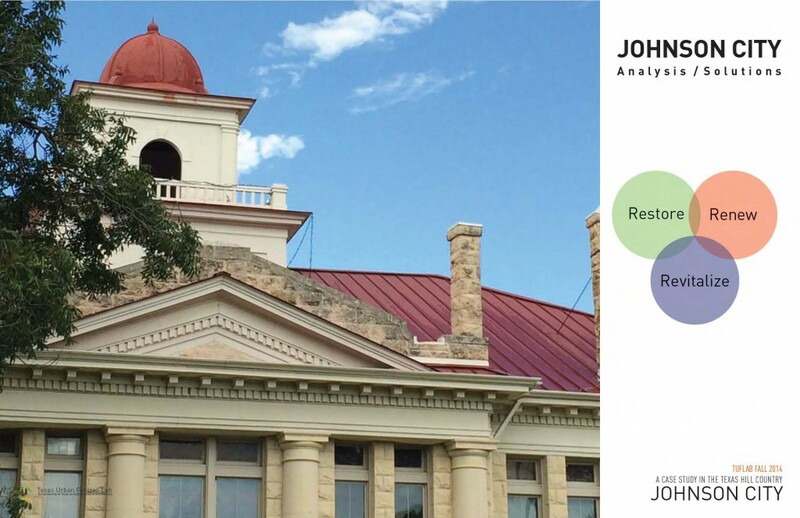 The Johnson City Texas: Framework for Growth, outlines a strategy for the revitalization of one of the most identifiable towns in the region (60MB). If the file size is too large for download the report can be read online here. HCA Country Alliance partners with Texas State University, GIS class 4427, to study hydrology, geography and land use issues in the Texas Hill Country. 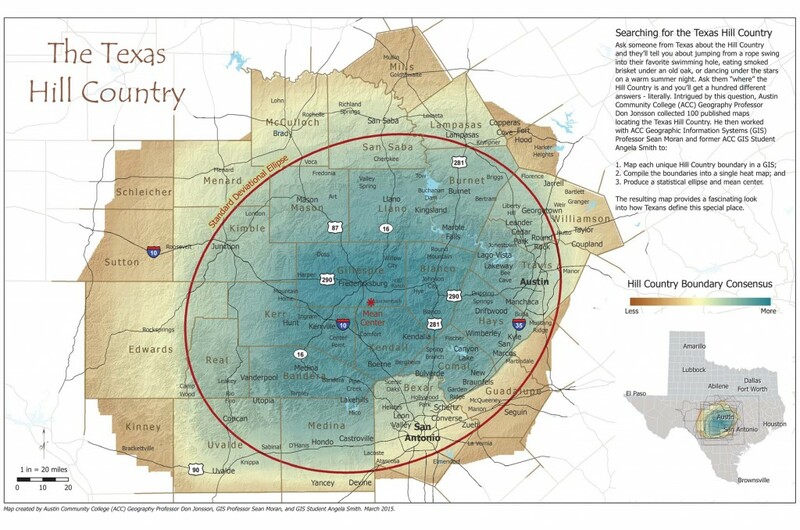 In 2010 HCA published the 20-Year Growth Scenario to educate stake holders in Texas and the Hill Country about what this 17-county Central Texas region will look like in 2030 (given the assumption that the population will grow at the projected rate of growth and no new authority is granted for managing the growth). The Hill Country Alliance served as the client for an advanced GIS class at ACC last fall. The students investigated a variety of Hill Country issues, ranging from the rapid spread of invasive Arundo donax in the urban creeks of Fredericksburg to the relative value of conservation developments to traditional developed land.